I’m admittedly, woefully behind on my blog posts. I finished this segment in Marquartstein, where I was meeting my wife and her family. While spending time with my wife, I didn’t feel like writing and fell behind. 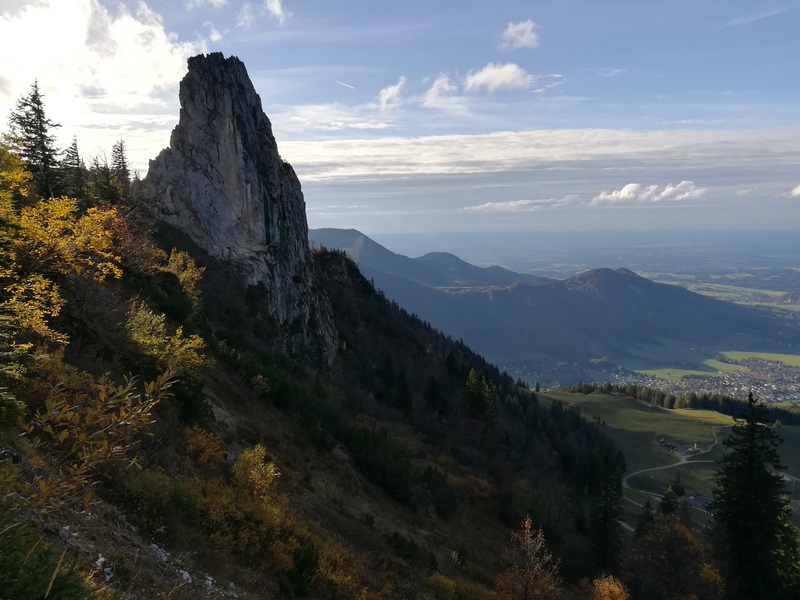 Have made lots of progress since the last update, so I’ll start with this section and then update you on the Marquartstein-Ebensee section in a day or two. 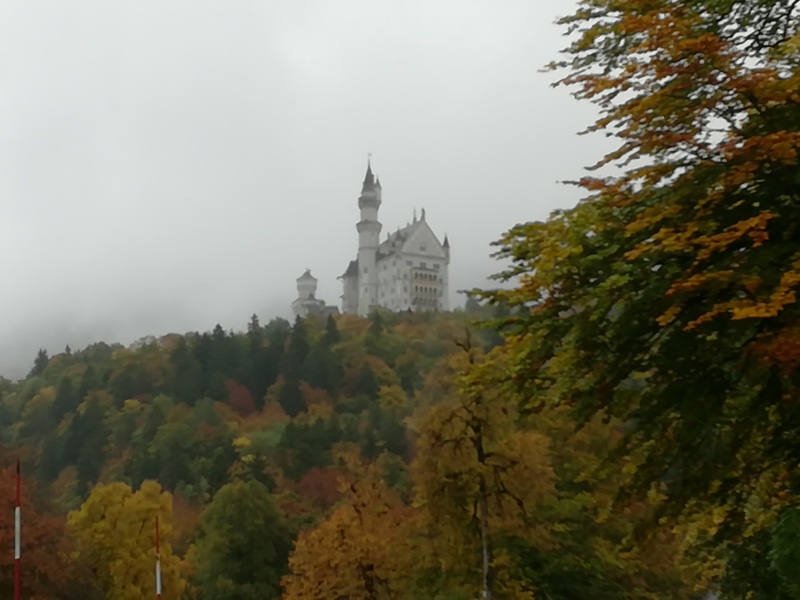 While the weather was great coming into Fussen, the first day out was rainy and foggy. 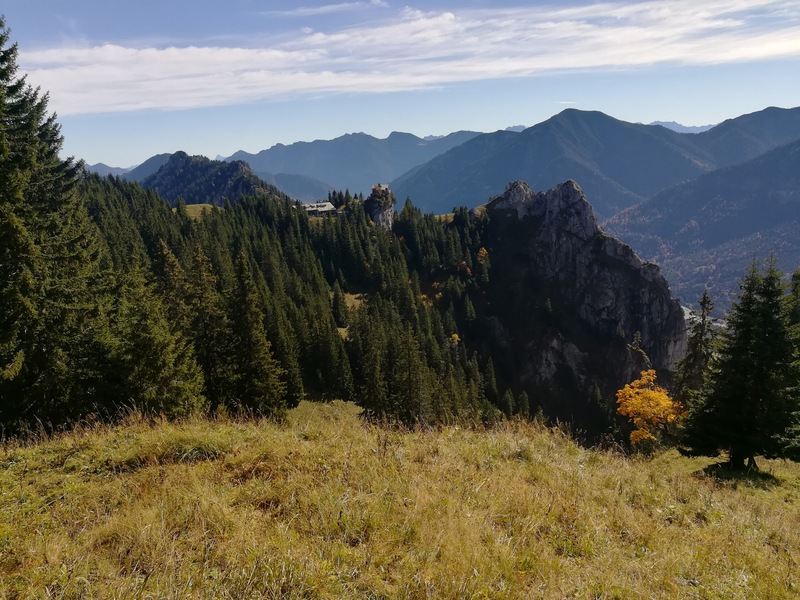 I wasted some time getting through the famous Neuschwanstein castle area, as I ran into two closed trails and had to backtrack both times. The high-mountain trails we’re muddy, slippery and rocky. It was very slow going, and the clouds were blocking the good views. 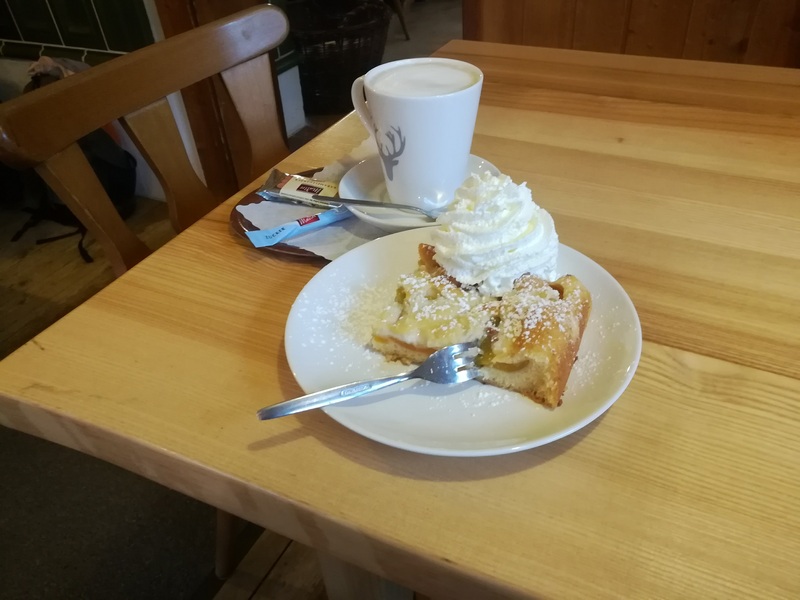 Stopped at an alm restaurant for cake and coffee before continuing the slog to the grounds outside of Schloss Linderhof. There was a hotel next to the castle grounds, but it was fully booked and I ended up camping in the woods near the hotel. I must say, it was cold and wet camping. 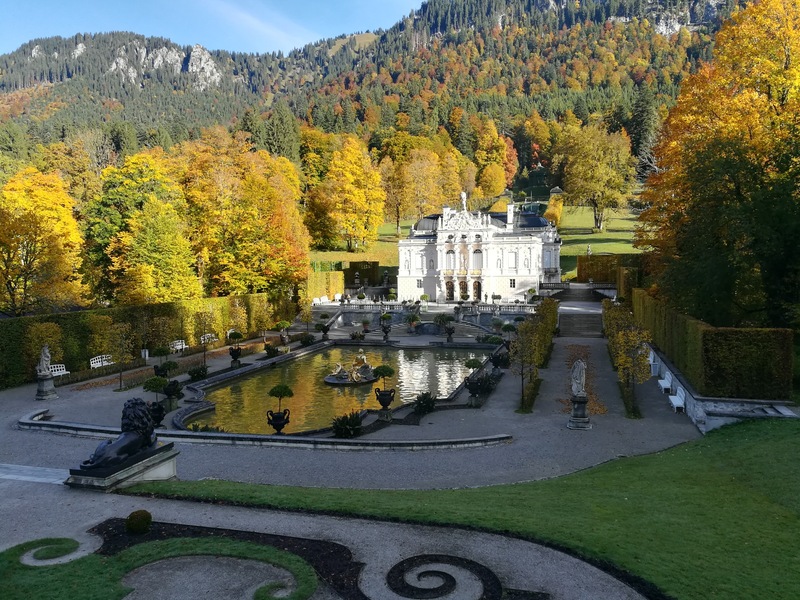 Thankfully, the weather was much better the next day as I started with a tour around the Schloss Linderhof grounds, which looked fantastic in Autumn colors. The trails out of the grounds were steep, but the alm of Purschling was pretty impressive with its clifftop location. 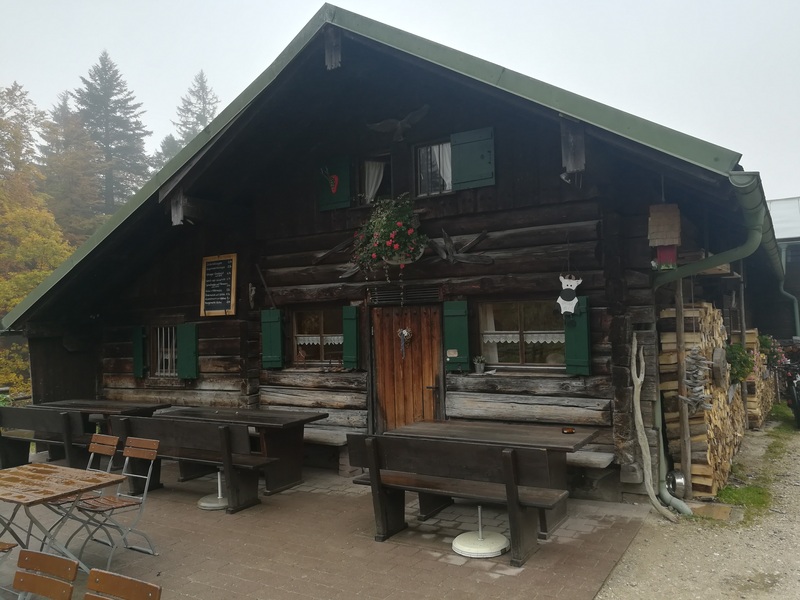 The weather gradually deteriorated as the day went on, and it was raining again when I got within about 2km of my goal for the day, the village of Eschenlohe. 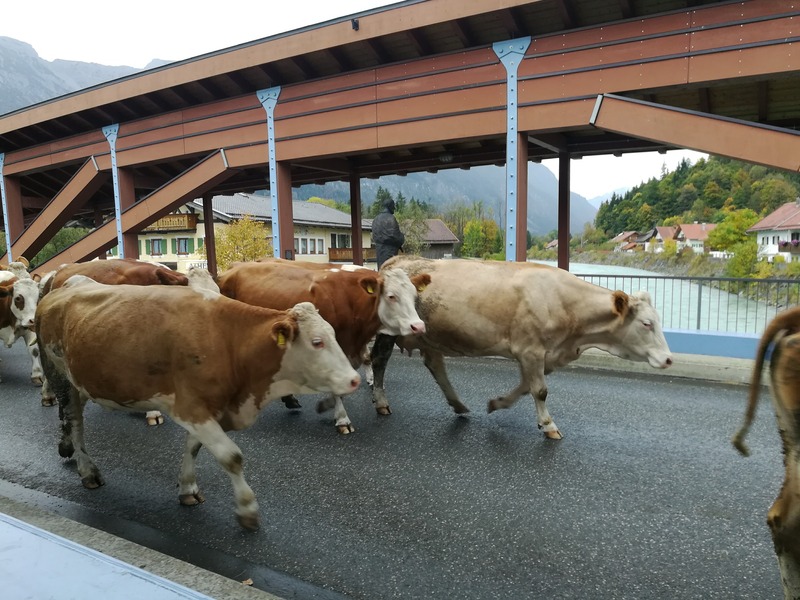 I had to dodge some cattle being driven across the main bridge, which was entertaining. The next day was a bit lackluster and rainy, with the only real highlight being the Walchensee. 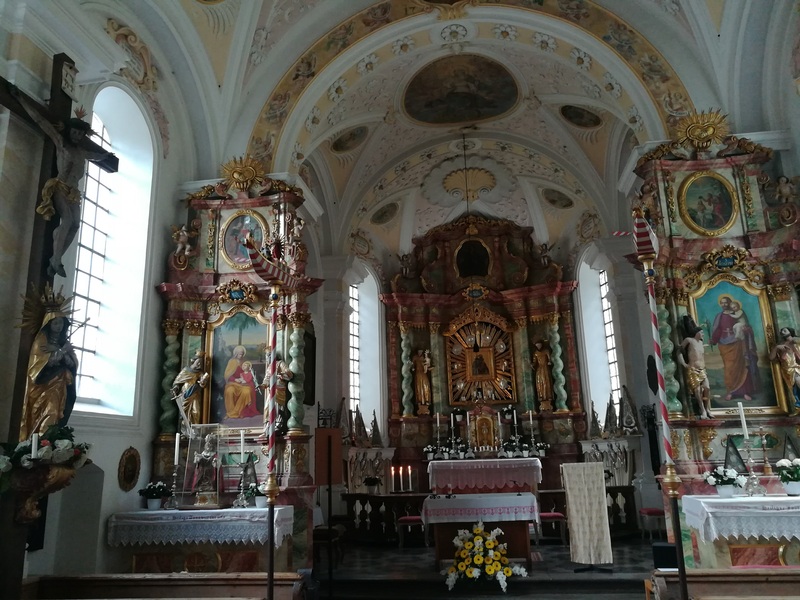 I stayed in the small village of Jachenau for the night. The rain stayed away for the long stretch to Bad Wiessee on the shores of the Tegernsee. The morning was spent traversing valleys, and the afternoon was a moderate climb through forests followed by a lot of logging road walking next to creeks. It wasn’t a bad day, but the logging road walking gets a bit old after a few hours. It was nice to arrive at the Bad Wiessee waterfront, and to have a good meal. The Tegernsee area is popular with vacationing Germans, so there is a decent selection of places to eat and stay. 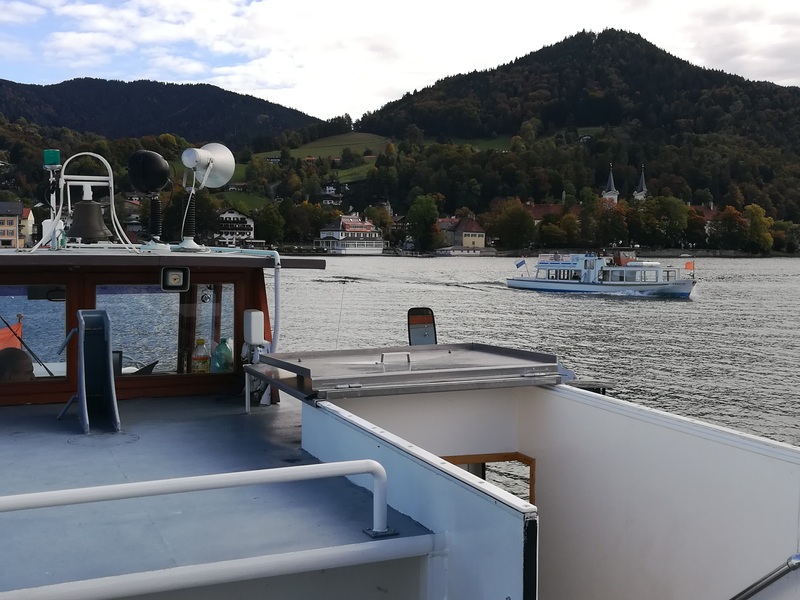 The following morning, I went to the waterfront to take the ferry across to the namesake town of Tegernsee. The ferry was the first transport that I had taken on the trip thus far, as it was the only transportation that was considered part of the E4. While waiting for the ferry I met Ludwig, who was headed on a day loop hike that incorporated part of the E4 up to Grindelalm. We walked together for the few hours up to Grindelalm, and we had a very nice lunch at the alm before parting ways. I really enjoyed walking with him, and I would like to thank him again for buying me lunch! 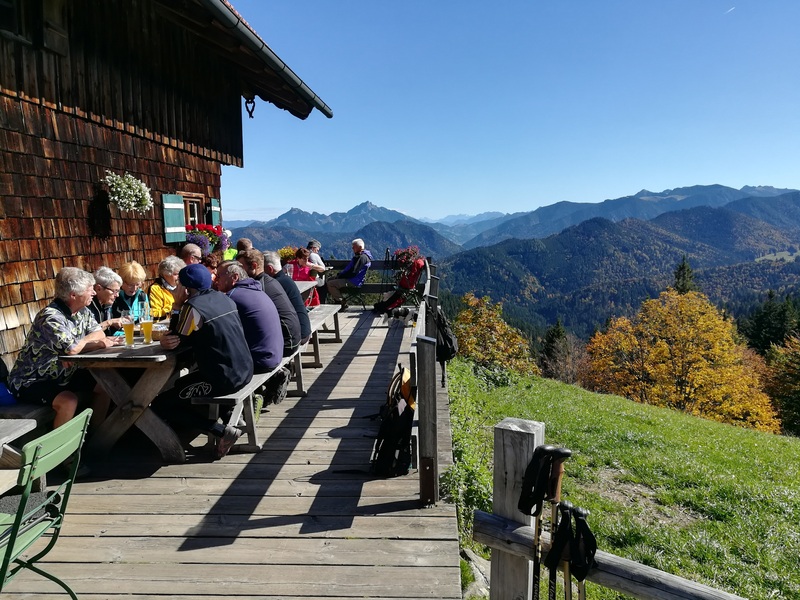 It was a beautiful day, and there were fantastic views of the Tegernsee and the Alps. 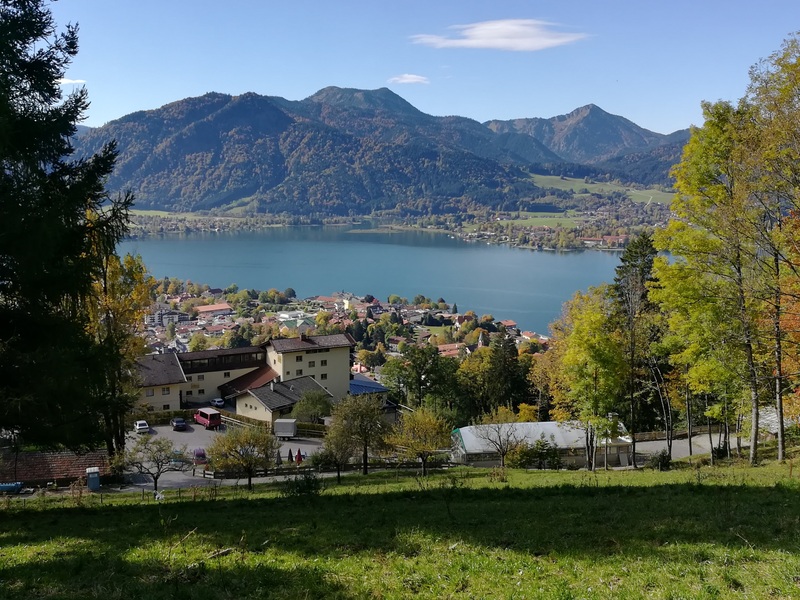 I then decended to the nice lakeside town of Schliersee for a break and grocery shopping before continuing on to the day’s destination of Fischbachau. 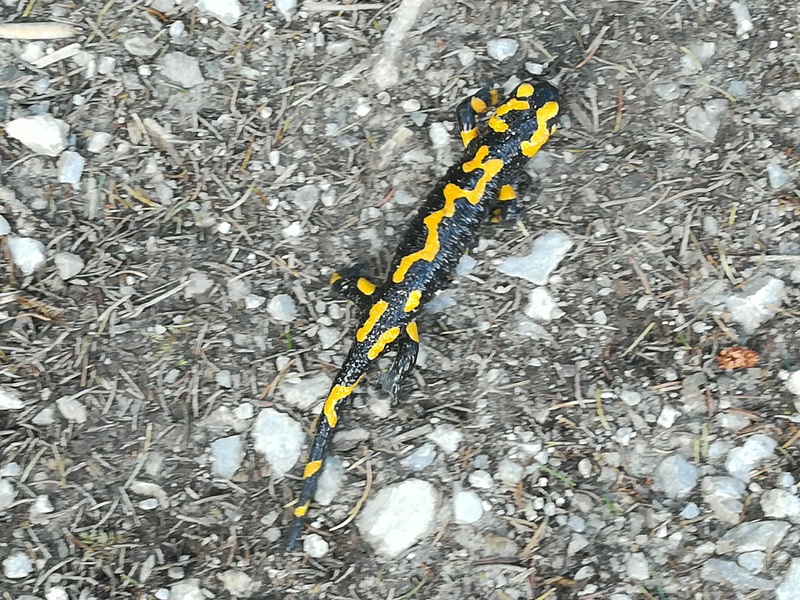 Before Fischbachau, I saw a striking yellow and black salamander, which were once common in this area. I feel lucky to have seen one because, sadly, their numbers are in decline. The weather was cold with rain and a bit of sleet the next day, but it was still an impressive day. 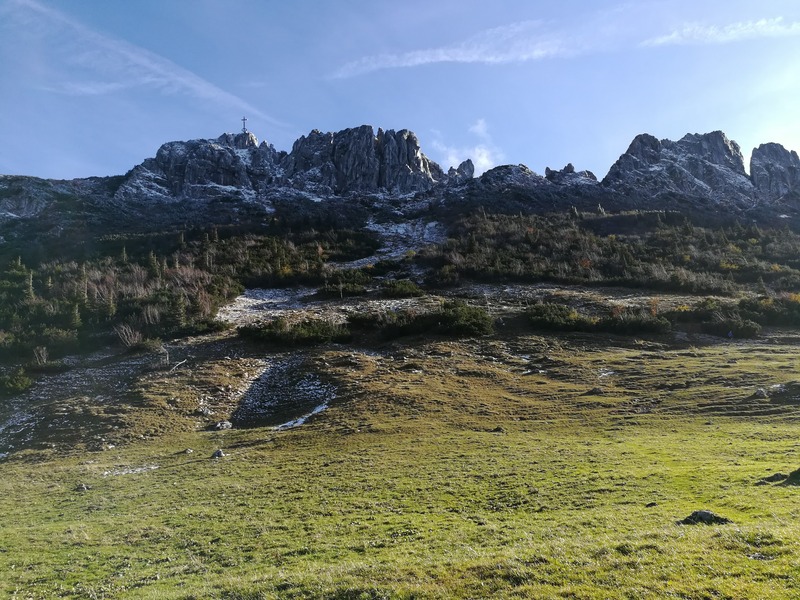 The snow-dusted horn of Wendelstein was beautiful, and I saw a large group of chamois (gaemse) just below. 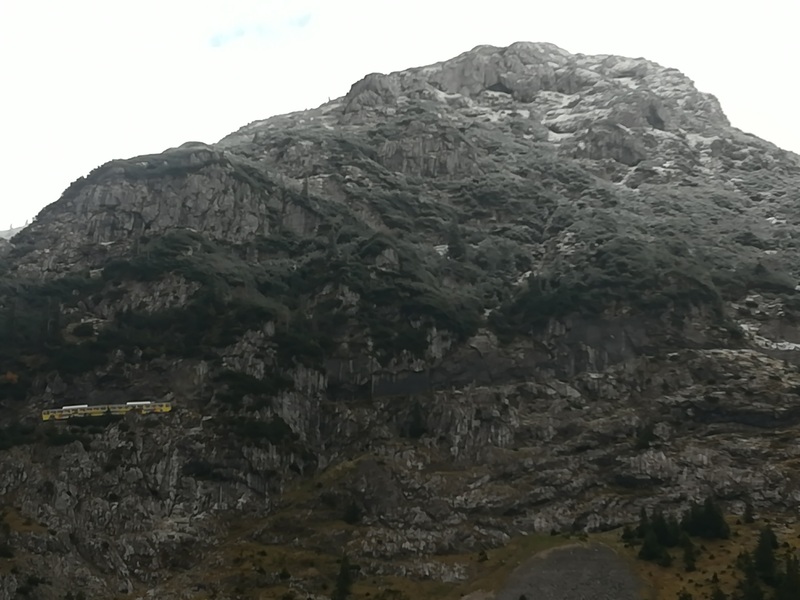 I also had good views of the Wendelstein railway climbimg to the top, which is an amazing piece of engineering. The fact that the railway has been operating for 105 years made it even more impressive. 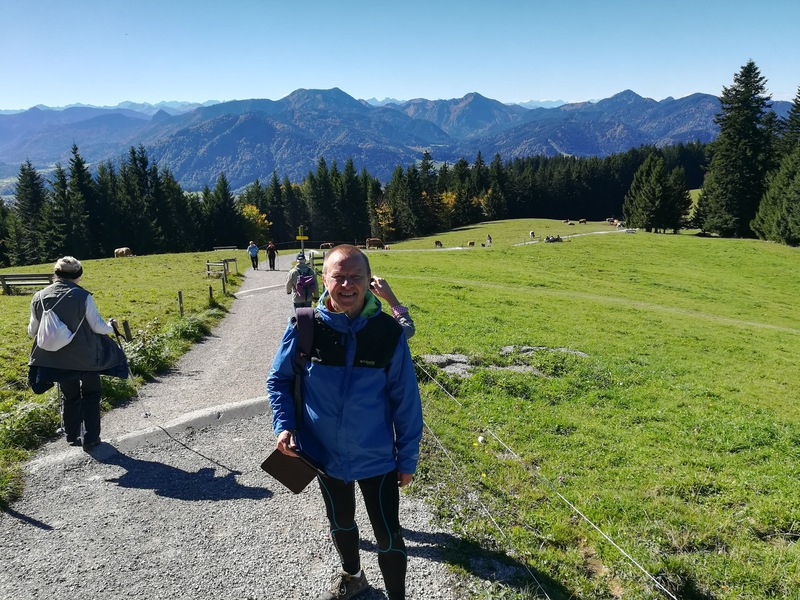 The walking from Brannenburg to Aschau im Chiemgau was a bit bland except for the Maria Heimsuchung chapel at Kirschwald. This was an outstanding church that is worth the uphill hiking. After Aschau is the climb up to the Kampenwand, which was really the highlight of the day. The Kampenwand’s saw tooth range was dusted with snow, and arriving at the top a bit before sunset created a nice glow. 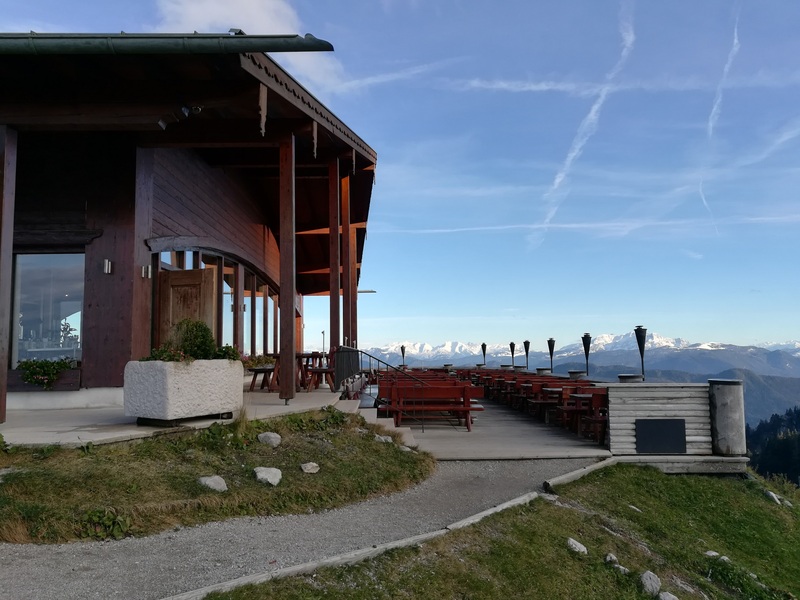 I stayed at the Sonnenalm at the top of the Kampenwand, with views south over the snow-covered Alps. Looking out over the Alps at sunset while eating dinner was an excellent and relaxing end to the day. 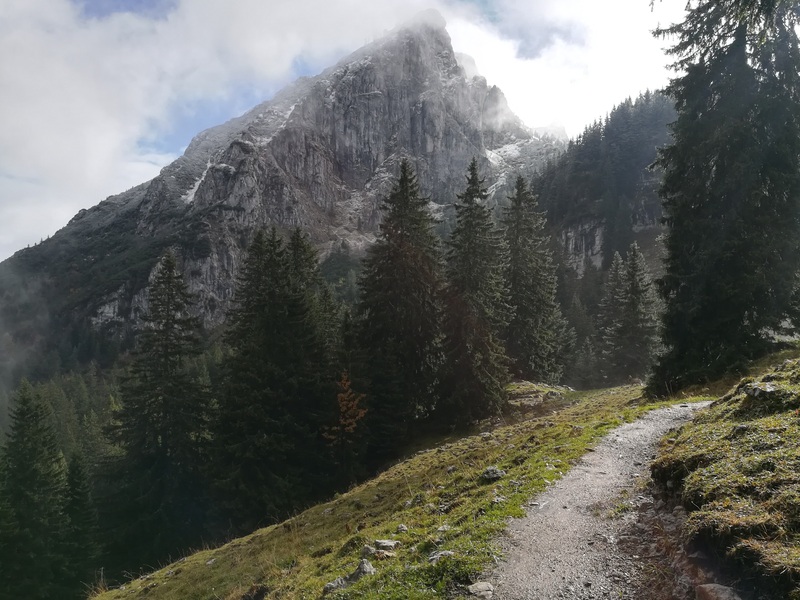 While the last day into Marquartstein was short, the weather was terrible and the trail went down the south side of the Kampenwand. The south side gets little sun, so there was about a centimeter of snow on the trail for a while, followed by mud. The wind and rain limited me to only a few photos. It was great to see my wife and her family again in Marquartstein, and this was a major milestone that I had been looking forward to since starting in Spain. My wife would be walking with me for a while, and I was really looking forward to it.